In the fast pace era of today, everything is changing due to different sorts of advancements in the technology industry. 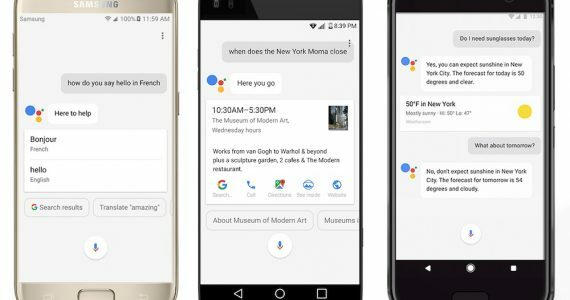 Google has introduced a new software known as Google Assistant. No matter what you need to know, where you want to go or whatever you wish, everything is effortlessly done by your simple contact with this voice-powered assistant by Google. Like for instance if you need to check the temperature of your city all you need to do is say Hello Google and say what is the temperature of your city? It will tell you by voice regarding the temperature of your city. 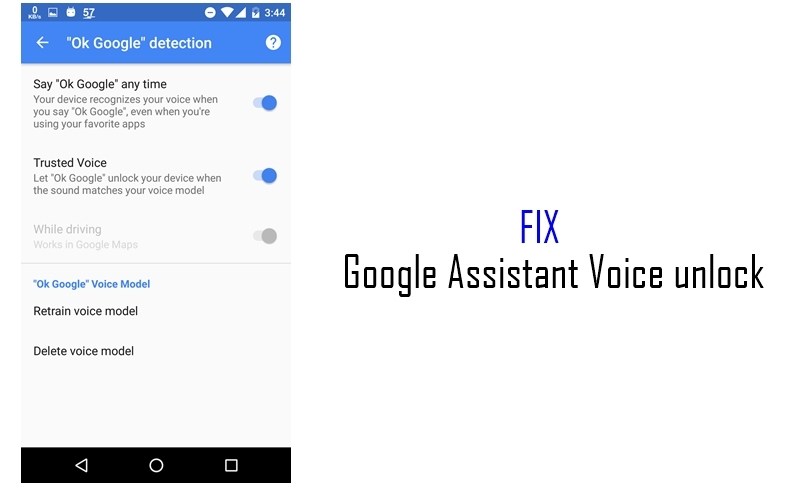 In this blog, I will be discussing what this voice-powered app by Google can do for you and in what electronic devices it is compatible. What Google Assistant Can Do for You? Just like Apple iPhone has Siri, Amazon has Alexa and Google has an extravagant voice-powered assistant of its own. The good news for the consumers is that this personal assistant is no longer relegated to Google built devices like for instance Google Home, Google Pixel and many more. Moreover, this assistant is now also available in high-end mobiles like Google Pixel XL, Google Pixel 2, Samsung Galaxy S9, Samsung Galaxy S7 to midrange mobile phones like Huawei Honor 7x and Y7 Prime 2018. Now you can also download this Google voice-powered assistant on iPhone. Below I will discuss what exactly Google Assistant can do for you in an effortless manner from opening mobile apps to watching Netflix shows on your TV. Are you interested in letting Google Assistant help you unlock your mobile phone or respond to your voice when your screen is off? If yes, you certainly don’t need to worry about a thing. As Google Assistant will let you bypass through your PIN or fingerprint security methods to unlock your phone. All you need to do is activate Google Assistant’s voice command feature to unlock your mobile phone. Simply just go into Google Assistant settings, select OK Google Detection followed by your Trusted Voice. Like for instance if you are washing your hands or driving a car and you need to check your mail, all you need to do is say “OK Google”, open Gmail and see Gmail open. Moreover, you can use this command to open other mobile apps, which also include third-party apps. Having a tough day at work? What is better than to look for humor pictures to change your mind? All you need to do is ask your Google Assistant to do a Google image search for humor images and you will surely feel better in no time. It’s Saturday Night, you are out with your friends or loved ones, but you don’t have any clue where you should go for dinner. Don’t worry at all as Google Assistant is there to help you by using its “Nearby” feature. With the use of this feature, you will be able to locate the best restaurants in your area. 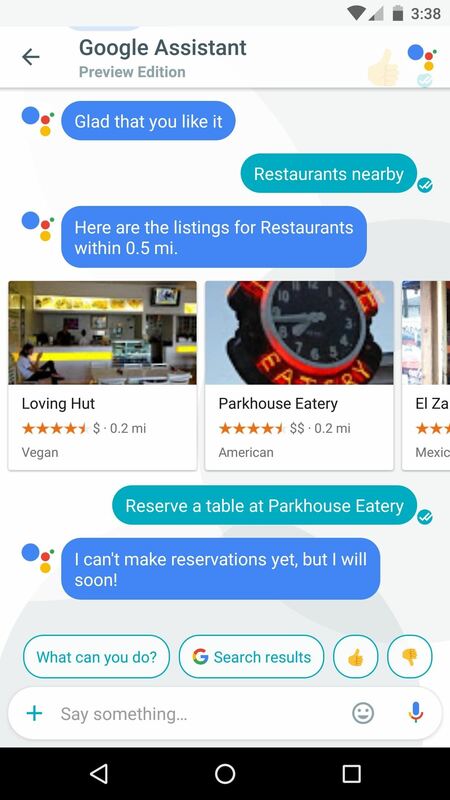 Google Assistant will show you a list of restaurants with their establishment's star ratings, just select the restaurant to get its address, directions and link for calling to make a reservation. If you are planning a vacation and have no idea of where to go, Google Assistant can certainly serve as a virtual travel planner for you. Just ask Google Assistant about “What are the best vacation spots?” To be more specific, you can ask Google Assistant to search for the best places to visit in December. It will pull up popular search results, which you can tap to get better information about it. If you are getting bored and need to enjoy a new movie or TV show with your friends or loved ones on Netflix, just ask Google Assistant to start streaming of your desired show on your smart LED. You can even get specific with Google Assistant by saying “Play Game of Thrones on Netflix” and it will start playing. It certainly is the best thing for Google Assistant to deliver your desired news, but how about letting it read your favorite news each morning? All you need to do is tap on the software home button; when it opens it will come up with a question “How May I help you?” say, Good Morning and Google Assistant will say Good Morning (your name) and give you weather updates as well as read the latest news from your customized news feed sources. Nowadays, the days are long gone when children used to deliver papers, as now you can get served with latest and hot news each morning. To get access to your news setting, tap the home button, select three dots at the top right corner of the Google Assistant pop-up. Select Settings, then select News under “Adjust the settings for all your Google Assistant devices.” Under the News section, select the sources you see with the two-line icons to the right or select the Customize option in blue and select additional sources. Here you will find everything from CNN news to Bloomberg News and more with ease. Are you set to plan your weekend vacation for a picnic with your friends or loved ones? Before that you need to make sure that the weather of that day cooperates with you. Need help? All you need to do is grab your mobile meteorologist, Google Assistant, who have the capability to tell you everything whether on your selected day the weather will be hot, cold or rain is in the forecast. Simply say “What’s the weather for the weekend?” it will give you the forecast at a glance. With the help of Google Assistant, you can search for your movies based on the title, star cast and what time it is playing in the theaters near you. By selecting the desired show time of your movie, you can book tickets through ticket booking app like Fandango. Now there is no waiting in long queues to watch your favorite movie. If you are on a road trip and feel like listening to your favorite soundtrack? Keep your hands on the wheel and tell Google Assistant to “play music” and get the party started while driving. To play a selected song, simply say, “OK Google” followed by “play music” or a name of the song. The biggest power of this voice-powered app by Google is that it can draw information from Google apps and services including Gmail and Calendar to provide information at a glance when you need it. If you have any sort of confusion that you have missed any emails from yesterday, you can simply ask Google Assistant by saying “Did I miss any emails from yesterday?” and it will pull up emails that were not opened for your ease. Need to be reminded to pay your electricity bill which you keep on forgetting? Or want to make sure you don’t miss your wife’s birthday? All you need to do is set a reminder with Google Assistant and you will never forget that date ever again for sure. To set a reminder on Google Assistant, you need to say, “OK Google”, set a reminder for your electricity bill or wife’s birthday and it’s done. When you are at a grocery store, the last thing you want to do is fumble for your grocery items list. If you have been using Google Keep, there certainly will be no worries at all as Google Assistant can grab your grocery items list in a glance. For doing this all you need to do is get into your Google Assistant settings and select Shopping List beneath Pixel. The Google Assistant will then enter into Google Keep and retrieve your grocery items list. In the past, who knew that hiring a professional shopper could be so much fun and effortless in future? Now you don’t need to fumble with the snooze button on the alarm clock in the morning when you can have deep faith and trust on Google Assistant to wake you up on time. All you need to do is tell Google Assistant, “Wake me up at 8 am” to set an alarm on this app. In case you are bored from your regular alarms, you can even say “Wake me up at 8 am to Jenifer Lopez” and it will start playing selected songs from her. You can effortlessly pick any song, playlist or artist and Google Assistant will draw the soundtracks from the music service you specified. If you are driving in a rush to office in the morning and getting late for a meeting and want to send a text message to your secretary that you will be a bit late for the meeting? No need to worry at all. 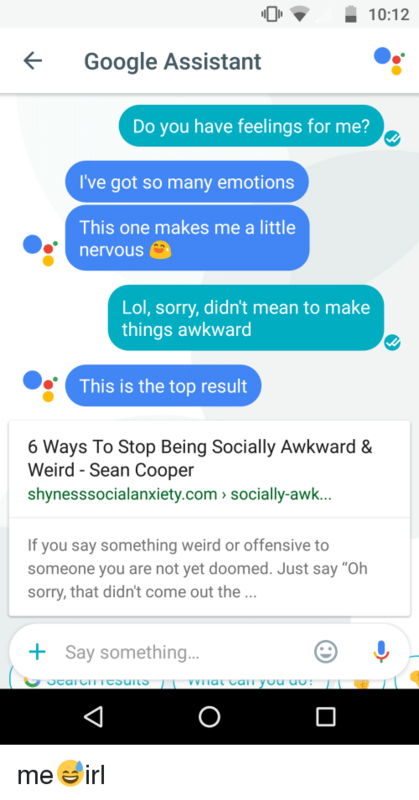 Just say, “OK Google”, followed by “Send a text message to your secretary name”. From this, you can dictate the exact message you want to get delivered. After completing dictation Google Assistant will ask you whether you want to edit the message or just send it instead. If you have linked IFTTT to your Google Assistant online, you will be able to ask your assistant to turn the TV power on or off with ease. All you need to say is “OK Google” followed by “turn off the TV” and you won’t even have to search the couch or sofa for the TV remote to turn off the TV. In case you have a Logitech Harmony remote, all you need to do is connect it with Google Home, to allow Google Assistant to control your TV. If you are finding hard in scrolling through listings grid for checking your favorite show timing, you can certainly ask Google Assistant when your desired TV show is playing and on what channel with ease. Like for instance, you can ask “When is Game of Thrones next episode goes on air”. If you are bored and feeling down after a hectic day at work, it certainly can be difficult to get motivated again for the next day. However, Google Assistant can certainly take care of it by helping you have a look at some motivational quotes. All you need to do is just ask. Are you are having issues in entertaining yourself? Don’t worry go to Google Assistant for a little diversion. All you need to do is hit the software home button and let Google Assistant know that “I am bored.” The assistant will then start telling funny jokes or start playing trending videos to lift up your mood. Google Assistant is a virtual voice assistant for which the company in May 2016. This is the evolution of the feature, known as Google Now, which provided information on a voice request without having to print the text. But, unlike Google Now, Google Assistant to engage in a dialogue with the user, understanding the meaning of the conversation. It competes with Bixby from Samsung, Siri from Apple, Alexa from Amazon, Cortana from Microsoft and even Alice from Yandex (on the Russian market). The personal assistant from Google can be installed on both, Android and IOS platforms as a separate offer. You can also use the services of a virtual assistant in Google Allo (Google Instant Messenger), the Microsoft Home (smart speaker with voice control). The service was able to make calls and communicate with the interlocutor. For example, if the user needs to dine, the assistant dials the restaurant number, tells the administrator the time and the number of guests finds out the degree of occupancy of the institution and negotiates other details. According to the developers, the Voice assistant will be able to adjust even to the unexpected answers of the interlocutor. This is an enhanced shape of Google now and nothing else. Should you use this assistant? It depends on your mind, you might skip quickly or just give it a try by forcing your mind. It tries to learn your activities like it wants to know where do you work and then answer questions depending on your information. So many people can take care of privacy but so many people can skip these tricks and go ahead to handle the game. Why would you skip it? It can even track your tacking plans and people you like and meet. And the company has tried to offer it in a wide range of devices with voice control functions. Just say OK Google and it should quickly answer to your command. Many users have reported that this is not working find so many users simply do not care about these activities. With the new feature, users can create their own procedures for events. For example, in the case of dinner, say "Hey, Google, dinner is ready"-and the service will turn on the music, jam the light and send the message "dinner ready" to the friends of the owner of the smartphone. The assistant will help you to schedule the day and the list of things by integrating with the services of Any.do, Todoist and others. It will be able to order food delivery from restaurants. Moreover, it can send text messages, control playback of audio recordings, search for information without leaving the navigation screen in maps. The assistant appears in the new Smart displays devices. You can continue the conversation with the assistant immediately after he has completed the previous task. It is not necessary to use the "Hello Google" command. The Multiple actions feature allows the helper to associate two statements together, execute them at a time, and give the user a result based on the context. The assistant understands several instructions in one command. The assistant has an appearance in Family Link parent application as well. It offers users family games, events and stories from partners. According to the developers, Google Assistant can understand and encourage polite treatment of the child to the interlocutor, for which later in 2018 will be presented service Pretty Please. You can take multiple actions, you can ask for multiple things at the same time. So many people take care of multitasking and this is good for them to have these kinds of features. But I do not think that it is very easy to master request. So many mobile phones with this operating system do support this assistant including Galaxy S9+, LG V35, Xiaomi Mi Mix 2s and others. The Google Play official store has a new version of the Google Assistant app, where voice assistant is available in English. This is an artificial robot which can offend everyone, this is a personal assistant that can answer your questions. With the help of Google assistant, you can make calls, send messages, turn on music, learn weather forecast, and work with maps, note the developers. The program requires the application Google version 6 or higher. Google Assistant will easily talk to you, put an alarm clock for a certain time, turn on your favorite playlist and make a self-order in the restaurant, you only need to tell him about it. The assistant recognizes dozens of teams that are useful in everyday life. But what if the smart Assistant doesn't work on your device? If you have everything, try to press and hold the "Home" button in unlocked form or use the Voice command "OK, Google". You should see a "Hi, how can I help?" Message on your screen. This means that Google Assistant works. While Samsung Galaxy Note 8 got their own newly created assistant Bixby, they also have a Google assistant, which is installed on other devices running the version 6.0 and newer. Some people will use Bixby (with instructions on how to disable it can be found here) much less frequently compared to Google Assistant. At least because Google Assistant is more powerful than Bixby, and it's obvious. And here you may experience one unpleasant problem: "hot" phrase Google Assistant "OK, Google" stops working when the power saving mode Samsung. The failure occurs because the power-saving mode tries to limit the running of the background programs on your device and, in particular, sometimes limits the operation of this Google application. As a result, it turns out that at the right moment the Google voice assistant on your Galaxy Note 8 or Galaxy S8 does not work. Step One: Open "Settings "-> "Battery". Step Two: Find "Applications in sleep mode", and then select "permanently hibernate applications". Step Three: Click Exclusion List and add the Google Assistant app to it. Step One: Go to Settings and select "Battery". Step Two: Press disable for moderate power saving mode. Here is probably all that can be offered today in order to run Google Assistant using "OK Google" on Samsung Galaxy Note 8. This is easy to use google assistant on smartphones. If you see a search box or the Now on Top function instead of a dialogue with an assistant, you should enable Google Assistant yourself. To do this, go to Google app settings. From the Settings menu, select Phone. There, turn on Google Assistant and the Access with Voice Match feature. Do not forget to change the language of the device to English, otherwise, you can run into roadblocks. Samsung users might skip what this assistant do offer because of Bixby. The Bixby is a great voice assistant optimized to handle a number of tasks easily. Similar to google’s app, Samsung is improving functions of bixby from time to time and it is expected to make an appearance on all upcoming Samsung smartphones. The company has managed to impress the market with this feature and in future, we do expect a little more fun to make people happy. This is very faster in performance, say a command and this will try to act quickly. Just say “Hi Bixby” or do press the button especially assigned to this function and start making fun. Bixby has a firm grip on apps, it has connections to many apps available on Samsung smartphones including camera app. You can quickly handle so many tasks using the gallery app, camera app, and others with this Samsung’s assistant. How much do the Galaxy Note 8 offer? This bixby will try to cover all with its clever performance. For example, you can quickly call to people, set reminders, turn the Wi-Fi connection off or on and much more. This is a helpful sportsman as well, as they have an active lifestyle and this Bixby is taking care of them on my fronts. Beside this, Bixby can customize settings as well. If you do not take care of privacy a lot, simply make changes in the settings of your smartphone with this assistant. This artificial robot is available on iOS devices running iOS 10 or later including iPhone X. But it is a little different to use on iPhones. 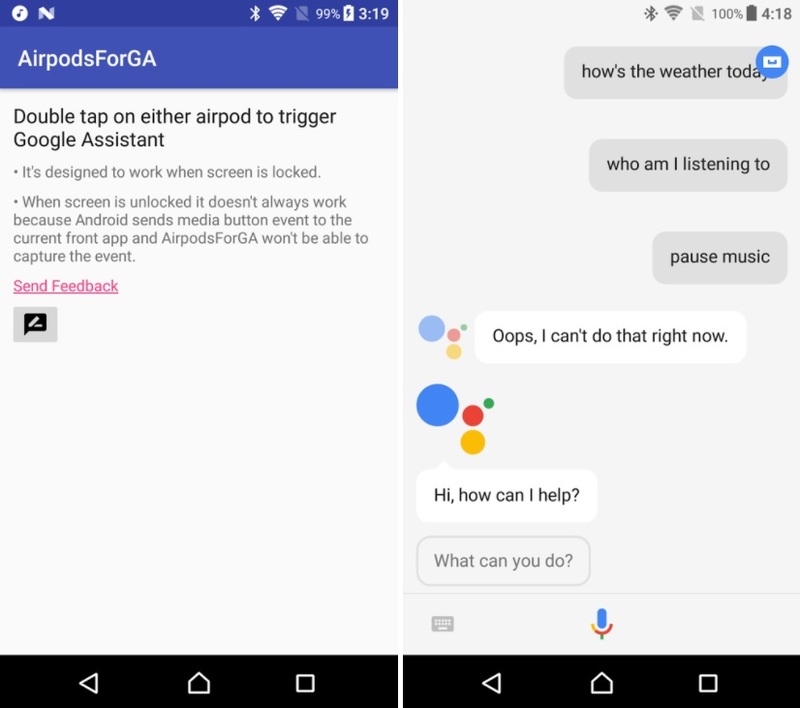 Google Assistant Voice assistant, because of the limited third-party software in IOS 10, cannot have the same functionality as on Android, but the company's experts tried to use all the APIs that Apple could only assume Developers. The branded assistant, managed with voice commands, works similar to Siri in Apple products. 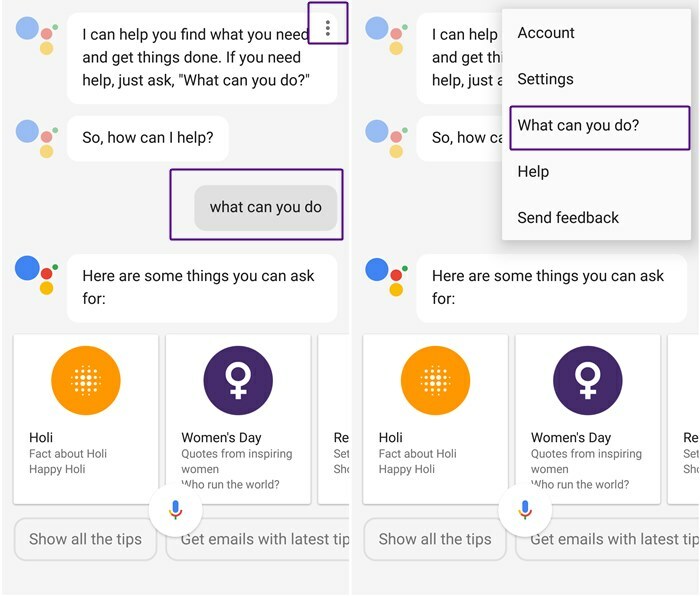 The user gives him some command, which is then processed into the text and sent to the Google servers, which give the answer and the assistant voice it. This is how the voice control of the iPhone and any other smartphone. Step One: Install the application from AppStore. Step Two: Open the Google Assistant app. Step Three: Click on the microphone Microphone or say "OK, Google". So many of you might get confused when using the assistant on iPhone. So many people can think if they really need an extra voice assistant when there is siri to help. Yes, they should think, why they would make use of such a feature when they are already engaged with siri. The matter of use depends on the difference, how much this new artificial assistant is different than siri. Apple’s iPhone siri is very old and capable to do a wide range of tasks. Apple’s Siri assistant feels like a seasonal assistant with a long history. It appeared with the Apple iPhone 4 and the market has iPhone X. This is around 7-year-old assistant you can use with an extensive range of features. This assistant does over a wide range of apps including Facebook, you can connect it different apps for assigning different tasks. Just speak the question – how should I eat this weekend and this assistant will try to answer. I do not really claim that this is a bug-free virtual assistant you use. But it does try to act very impressively so you can maximum satisfaction level on the ground. The more you use, the more it should learn about your behavior. This is a nice option you can grab, simply. But there is a catch, you can find many missing functions on this assistant. It tries to answer maximum questions you ask. Similar to google’s voice assistant, it can make calls, read messages, set reminders and more. Furthermore, you can use this assistant to turn on and turn off connectivity functions of smartphones. For example, you can turn the Wi-Fi on and off. More, it can pull up the audio player and change settings like you can pause the audio file and skip to next one easily. More, it can remind to pay payments and inform about your favorite stores. But still, this is not capable to do everything. And the same case goes to Google’s assistant.